The toughest job for me is to interrogate women suspects, says Samina Noreen, the first and the only female police constable in the small village of Mouza Kot Khair Shah in Chiniot district of Punjab. “Being human, I feel sorry for them, but I have do my job being a part of the police force,” the 19-year-old Noreen said while sharing story of her empowerment from an unknown village girl to a police constable. Noreen hails from a Mouza Kot Khair Shah located on the River Chanab some 162 km in the northwest of Lahore. 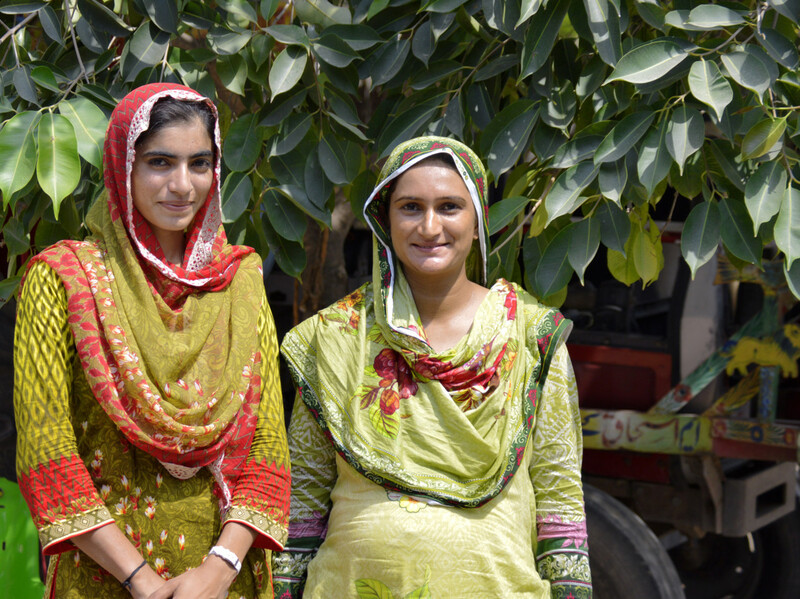 Against all odds in a conservative village, Noreen broke the shackles and became the first girl along with her three sisters to go to a ‘city’ school in Chiniot, thanks to her father Dost Mohammad who is a daily-wage, illiterate labourer. He decided to educate his four daughters along with his four sons. 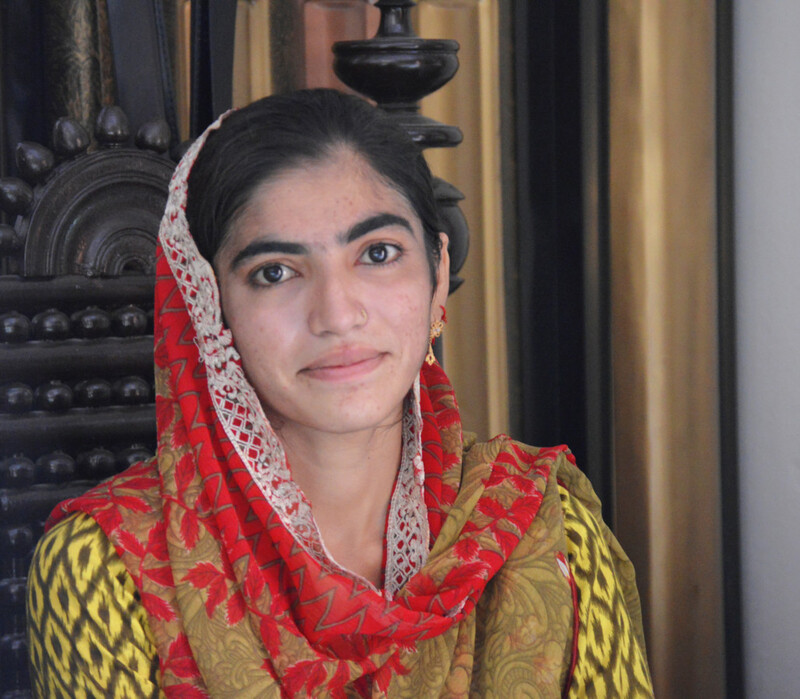 “My father is my hero as he believes that education for girls is as important as for boys,” said Samina Noreen. Her father and family faced a lot of criticism from friends, relatives and other villagers, but he stood firm. She was given admission in grade 4 at The Citizen Foundation (TCF) School. The school was in Chiniot, 11 km away from her village and it would take her more than an hour to get to school by bus. Travelling in public vans, standing for over an hour throughout the bus journey, and then walking another 1 km or so to reach school. She did this for more than 12-year. “We were the first girls to pass our matriculation (grade 10) in our village,” said Noreen who was overjoyed while telling her story. “The biggest surprise of my life came when my elder brother advised me to apply for a police constable’s job after he read an advertisement in the newspaper. And here I am as I passed the test and completed the training successfully,” she said. 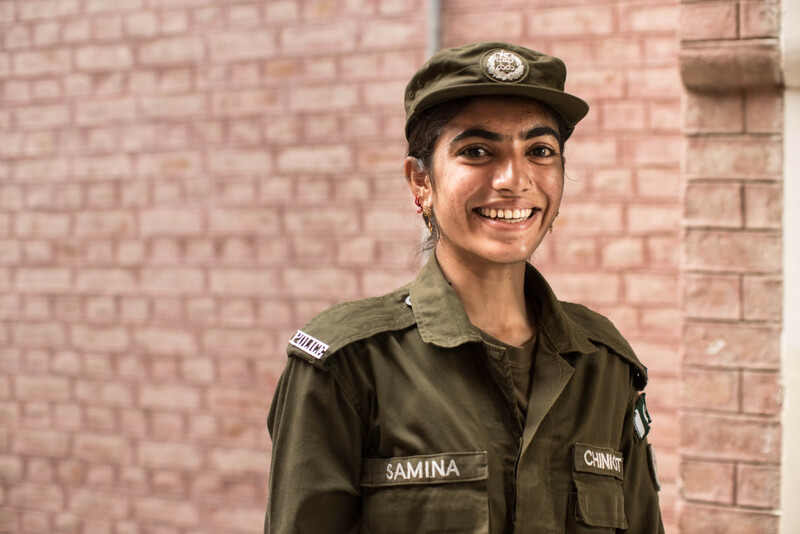 Samina Noreen joined the police force last year at the age of 18 after she passed her intermediate examination. She was so determined to improve her position that she completed her graduation while on duty and is now taking distant learning courses for a Bachelor’s degree in Pharmacy. She will complete one year on the job in February this year. She is also the first girl from her village to have under-graduate degree. She is currently posted at the Police Station Chanabnagar near Chiniot. “My duties include handling women suspects, arresting them during police raids and interrogating them. I also sometimes do office duty in addition to security duty on police pickets on roads,” she said. Samina Noreen faced many challenges as her friends and relatives in the village opposed her choice of being a police constable. “They criticised me but I did not give up because my family stood behind me. Now, I am very pleased that even the village people take pride in me and will start sending their daughters to school. I believe I have changed the mindset in my village and showed that girls can excel in any field is provided with education,” she added. Next articleDid Thanos kill Loki? Avengers End to be quite intense!